Apple today announced that the size limit of a tvOS app bundle has increased from 200MB to 4GB, allowing developers to include more media in their app submissions for a "complete, rich user experience upon installation." Previously, tvOS apps were limited in size to 200MB, but were allowed to download additional resources after being installed. This led to short initial installation times, but caused customers to have to wait for content to download after installing an app. 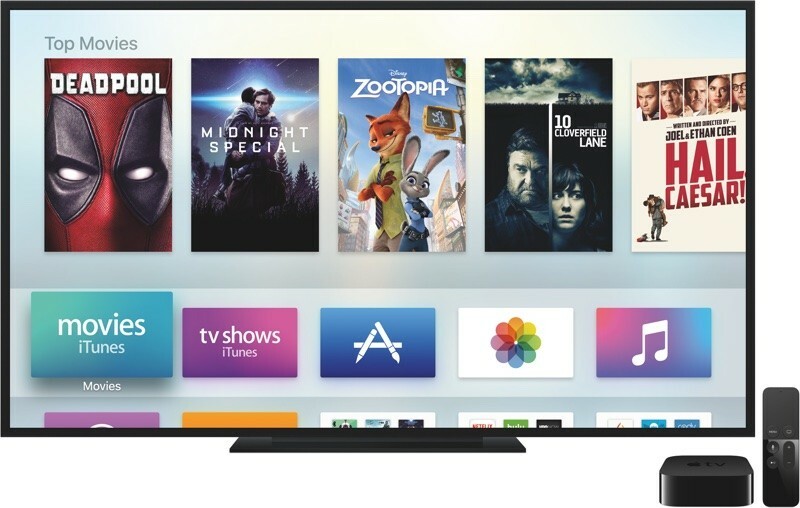 Apple is also allows tvOS apps to use On-Demand Resources to host up to 20GB of additional content on the App Store. Apple recommends app developers use On-Demand Resources to enable faster downloads. On-Demand Resources allow apps to do things like download the first couple of levels of a game and update as a user progresses, deleting content that's no longer needed. Apple reversing another dumb decision (like no controller only games) that should have been in place day 1. Imagine if Apple had just developed and included a game controller for the ATV 4 and made it a core option for game devs? Up to 4gb is a big deal. can't remember the last time i felt the need to play a game on my Apple TV. I don't know. I recently got a Steelseries Nimbus and find that it's quite capable and makes it a lot more fun. Can't believe how poorly they have handled this product! I've had the Apple TV 4 ever since it came out. Still have to find a single useful or enjoyable app. Somehow everything I try is less useful/entertaining than on my iPhone ir iPad. Or is it just the interface (remote) that's hard to get used to? The ATV is my favorite streaming device. It's easy to use, looks good, and is fast. For cable cutters it's great. It sure beats watching TV on my iPhone or iPad. Can't say I've ever felt the need to play any game on any device, but I sure enjoy the few trivia games that my family and I play on Apple TV. I'm not sure what's going on with APPLE. Many say that Apple has lost it. I think they dropped the ball on the ATV4, as it is far from the revolutionary device that they claimed it would be. I remember being so excited about it, only to be let down by the ATV4 event. They couldn't get a better game than Crossy Roads? The game looks horrible. Anyway, I know a way that Nintendo and Apple could both make a crap load of money. After the success of the NES classic edition, there is clearly a demand for retro gaming. If Nintendo would release an app on the ATV4, an app like a virtual console on the WII and WII U, include a free game like SMB with the app, then charge for additional games as IAPs, I think it would be very successful. People would buy the ATV4 just for this. About the 4GB, hopefully it will lead to more console style games, something that is currently lacking. If you don't don't know the reason for the decision, then you're not in a position to call it dumb. I don't know the reason, but I know the outcome. When they required the Siri remote to play games and the horrible 200mb limit it all but destroyed any chances of good games appearing on Apple TV. Nintendo is actually Demoing the Switch console tonight! It has an nvidia custom ARM chip! I'll watch the event and see what could of been for the Apple TV. Although that gets me thinking if Apple backed off Nintendos turf to score some mobile games? Apple could of made a lot of money with the Apple TV if they gave an F about games. Instead they focused on a TV service that never came to be!